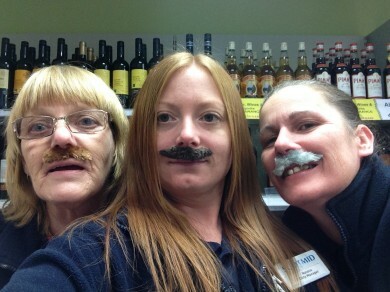 Staff dresed up as moustachioed celebrities to raise funds. The moustache-growing efforts of Scotmid Co-operative staff during the month formerly know as November have raised over £7,000 for Movember and Prostate Cancer UK. Over 80 male staff across the Scotmid family of businesses sprouted new facial hair during Movember and held a number of moustache-themed events to raise funds. 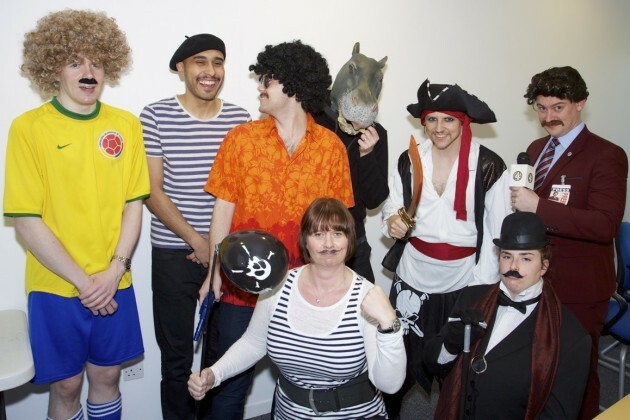 These included dress up days in Scotmid stores and at the Society’s Head Office, which saw the appearance of moustachioed celebrities including Ron Burgundy, Carlos Valderrama and Poirot. Staff also held a variety of ‘manly’ challenges, including eating competitions, quiz nights and other sponsorship feats. More than a quarter of a million people in the UK took part in Movember this year, raising over £8.5 million so far. Prostate Cancer UK – the principal UK beneficiary of the Movember campaign – is also Scotmid’s official charity of the year for 2013/2014. 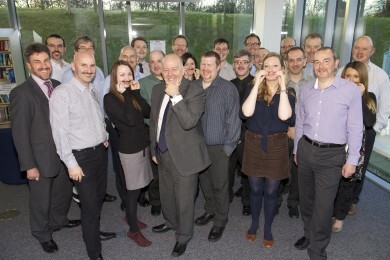 Only three months into the year long partnership and staff have already raised over £80,000 for Prostate Cancer UK. Prostate cancer is the most common cancer in men in the UK and every hour one man dies of the disease. Prostate Cancer UK fights to help more men survive prostate cancer and enjoy a better quality of life, providing support, raising awareness and funding research into prostate cancer.